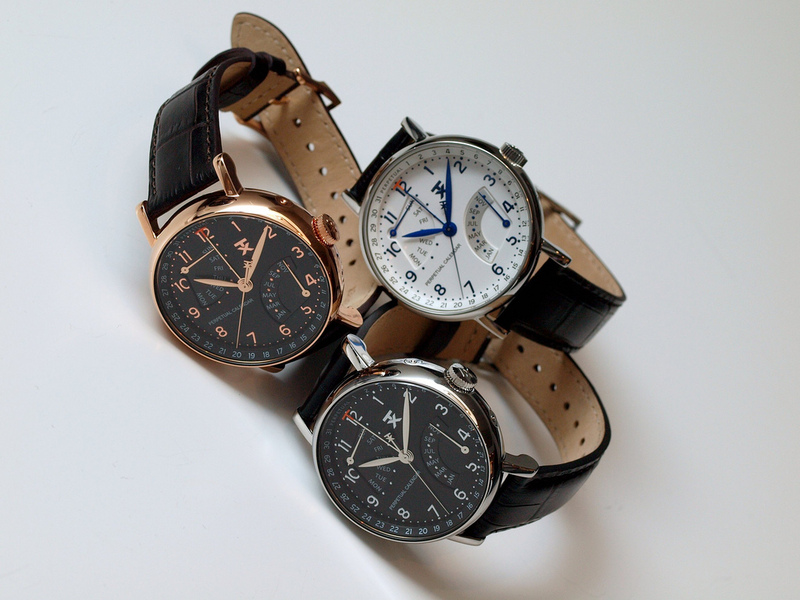 TX watches introduced the TX 310 Classic Retrograde Perpetual Calendar during Baselworld 2010. This all new timepiece features a round 44.5 mm stainless steel “classic” style case and a domed crystal. (Note: the K1 hardened mineral crystal has a high potential to scratched, as opposed to a sapphire which is virtually scratch proof. One of the sample pieces at the show already had a scratch on the crystal.) Even so, this is a really nice timepiece, especially considering its price. The case and dial are more classic than most of the watches in the TX collection, and I think this is a good thing. It offers something different. The look is very simple, and the dial is easy to read. TX used their own patented quartz caliber to power the perpetual calendar function for this timepiece, with a automatic calculation for leap year. It is accurate to the day, month and date until the year 2100 – without any adjustments (there is a reset button on the side of the case). The “date” is displayed around the dial ring, indicated by the central hand with a “t” shaped tip. The “day” is shown in a retrograde display in the upper left quadrant of the dial. The “month” is shown in a retrograde display in the lower right quadrant of the dial. The strap is leather with a buckle that matches the finish on the watch case. The crown screws down and ensures water-resistance down to 100 meters (333 ft). 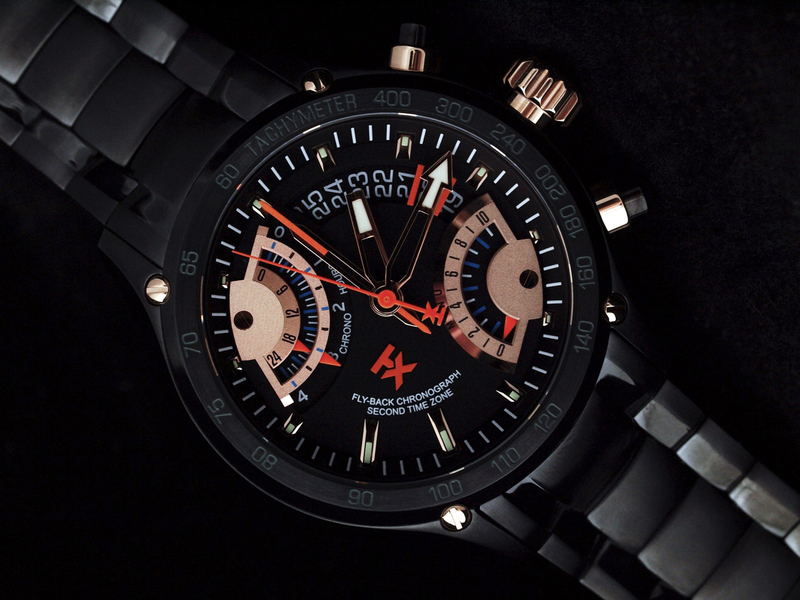 This was one of my favorite wristwatch designs to come from TX Watches for 2010. I do, however, think a few changes could make this new collection even more appealing. It would be nice to see an additional model in a simple three handed or sporty chronograph version next year. Also, I think a proper sapphire crystal would be preferable. Even if it requires raising the price.